Crude oil fluctuated in New York as more Americans than forecast filled applications for unemployment benefits and as the dollar weakened, boosting the value of dollar-denominated commodities. Jobless claims fell by 6,000 to 422,000 in the week ended May 28, Labor Department data showed, more than the 417,000 decline estimated by economists in a Bloomberg News survey. The euro rose against the dollar to the highest level in four weeks as German Chancellor Angela Merkel said she is committed to the currency. 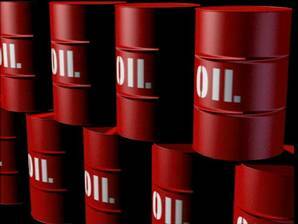 Crude for July delivery gained 1 cent to $100.30 a barrel at 9:09 a.m. on the New York Mercantile Exchange. Futures fell as much as 1 percent in earlier trading to $99.25. The contract dropped 2.4 percent yesterday, the biggest decline since May 11. Brent crude for July delivery gained 52 cents, or 0.5 percent, to $115.05 a barrel on the London-based ICE Futures Europe exchange. The euro strengthened 0.9 percent to $1.4456 as of 9:10 a.m. after increasing to $1.4486, the strongest level since May 6. A decline in the U.S. currency makes dollar-priced assets such as crude appear cheaper to investors using other currencies. An Energy Department report scheduled for 11 a.m. in Washington is forecast to show crude stockpiles declined 1.6 million barrels last week, according to the median of 13 analyst estimates in a Bloomberg News survey. The industry-funded American Petroleum Institute said yesterday supplies rose 3.5 million barrels to 371.6 million. Gasoline inventories climbed 1.49 million barrels to 212.7 million, the API said. The Energy Department report may show a 900,000-barrel increase for the fuel, the survey showed. Oil-supply totals from the API and the Energy Department have moved in the same direction 72 percent of the time over the past year. API collects stockpile information on a voluntary basis from operators of refineries, bulk terminals and pipelines. The government requires that reports be filed with the Energy Department for its weekly survey. Economists in a Bloomberg News survey project a government report tomorrow may show payroll gains weakened in May, raising the risk that consumers will curb spending, the biggest part of the economy. The Organization of Petroleum Exporting Countries is likely to keep production levels steady when it meets next week, according to a Bloomberg survey. NATO Pressures Gadhafi With Tripoli Strikes .